Intractable, difficult, complex – whatever term is used for the sort of case when a child is resisting contact without objective justification – these are the hardest private law children cases to resolve. They often take a long time. They almost always result in considerable distress, whether that is for the child forced to do something they do not want to do, or the parent who regretfully abandons their quest for contact. Of all the areas of family law, this is one of those where decisions made at a preliminary and interim stage of the litigation are the most crucial. When should assessments be sought? When should an application for interim contact be made? When is it appropriate to consider enforcement measures, including more draconian steps such as committal and transfer of residence? There is no correct formula which will solve every such case; however, guidelines can be given, such as those recently handed down by Mr Justice Hedley in Re E (A Child)  EWHC 3521 (Fam). This article sets out to discuss the considerations practitioners are likely to face when encountering cases of this kind. To what extent should the child's wishes and feelings determine whether contact takes place? This is a broad question, which cannot be conclusively addressed in a short article. However, the authorities discussed below (all rather helpfully entitled Re S) are a good starting point. "Nobody should dictate to children of this age because one is dealing with their emotions, their lives and they are not packages to be moved around. They are people entitled to be treated with respect." 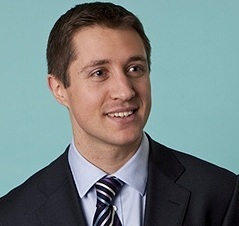 Thorpe LJ gave the lead judgment in the more recent case of Re S (Contact: Intractable Dispute)  2 FLR 1517. In that case, the children were 12 and 13 years old respectively. They were clearly alienated from the father, whom they referred to as 'it'. A contact order was made at first instance, albeit with a provision that it was for the children to decide whether they would take up contact. His Lordship said that this burdened them with a responsibility they should not be asked to bear. The Court of Appeal set aside the condition and remitted the matter to the High Court for reconsideration. "I cannot and do not ignore S's expressed wishes and feelings. However, in the light of Dr W's evidence, it would be equally inappropriate for me to proceed on the basis that those expressed wishes and feelings should necessarily be taken at face value. They need to be assessed in the light of S's age and understanding. The impact of alienation upon the reliability of those wishes and feelings and the signs (albeit modest) that they may not, in fact, reflect his true feelings, are matters to be taken into account when assessing the weight to be attached to them." In accordance with the Children Act 1989 s.1(3)(a), it is suggested that a child's wishes and feelings are likely to carry more weight the older the child is. However, the court also has to consider the child's understanding. Alienation from a non-resident parent may have a significant impact on an older child's understanding of his/her own circumstances, as noted in Re S above. What are the resident parent's duties in respect of contact? "Contact is not optional to M [the child] or to the father as the resident parent. How does the father do that when M objects? It is part of his parenting skills – reasoning, persuading, cajoling, probably in the end sanctions… It is not for me to advise him how to do it." On appeal, Munby LJ considered that put the requirement too high. A contact order was 'to make available'. There is a defence of impossibility of performance ('I couldn't get the child to go to contact'). As regards the question of committal for breach of the contact order, the father (the resident parent) was not under a duty to take all reasonable steps to ensure that contact happened. Although the obligation on the non-resident parent was insufficient to found committal on the facts of that case, Munby LJ specifically said taking into account a failure to promote contact might be an entirely appropriate approach to a welfare determination . Furthermore, the Court of Appeal's previous position on committal in B v S (Contempt: Imprisonment of Mother)  EWCA Civ 548,  2 FLR 1005 was reiterated – it is an important weapon in the court's armoury and should not be discounted just because the subject is a primary carer of a child [95-96]. One of the Court of Appeal's criticisms of the trial judge's approach was that he did not identify specifically what the father should have done ; it may be that a more bespoke contact order is called for in such difficult cases (in other words, in contrast to the Circuit Judge's judgment above, it is for the court to tell the parent how to ensure that contact takes place). For what it is worth, the writer does not agree with the outcome of Re L-W. It appears superficially to allow the resident parent a way to opt-out of the court's contact orders. However, there are sufficient helpful dicta to allow for future cases to be distinguished. What options are available to the court in an intractable case? There are broadly two approaches to this type of case: threat of sanctions against the resident parent or accepting that contact will proceed at the child's pace (either may involve some professional assistance). It is suggested that neither is the 'right' approach, and each case will stand on its own facts. The court may wish to consider committal or enforcement orders under CA 1989 s.11J (unpaid work requirement) or s.11O (financial compensation orders). Sometimes the threat of these measures is as effective as the execution. An 'unless' order might be considered in appropriate circumstances. Transfer of residence is often another remedy of last resort. It was attempted in Re S (above) and subsequent judgments on the question of enforcement was reported as  EWCA Civ 325. Initially, the Deputy High Court Judge ordered that the transfer of residence was affected directly by the tipstaff. The Court of Appeal determined that it was in the child's best interests for there to be a bridging foster placement. Sadly the transfer of residence was unsuccessful. The child was exhibiting signs of depressive illness and the father reluctantly withdrew his application. The right Guardian or Family Support Worker can be invaluable in facilitating contact handovers and overcoming that initial hurdle of distress at separating from the primary carer. Practitioners will be aware, however, that appointment of a Guardian can result in delay – something which should be avoided if possible in cases where a child's positive memories of the non-resident parent are fading. There will be cases which meet the threshold for local authority involvement (such as Re S (Transfer of Residence)). There is likely to be an assessment by a child and adolescent psychiatrist in these matters, in order to assess better the reliability of wishes and feelings and whether there is an objective reason for resisting contact. Some experts will facilitate contact sessions themselves, and research indicates that this can have great success, but it is entirely dependent upon finding a child psychiatrist who is so willing. Some Independent Social Workers will facilitate a contact visit. However, the court putting its trust in professionals to ensure contact takes place has significant risks. A professional is unable to exercise the level of parental discipline or control which the primary carer can. Such a step should not be seen as taking away from the parents the burden of making contact happen. The parents can be given professional help for their roles. Counselling for both parents was ordered in the case of Re P (Children)  EWCA Civ 1431. That was a case in which there had been findings of domestic violence, so it is arguable that there was an objective justification for the children's resistance which needed to be surmounted. Courts now tend to order Parenting Information Programmes in these cases; if this is to have a positive effect it is better done earlier in the process. Insofar as ordering therapy for the child, this can be very difficult to achieve in practice because CAMHS are reluctant to accept cases which do not cross a relatively high clinical threshold. They have tended to require not just an irrational fear of contact, but also the unqualified support of both parents (which is quite rare in intractable cases). Moreover, the basis upon which the therapy takes place would need to be clear as the parents' accounts of the background and issues in the case may diverge significantly. There will be times when a 'softly, softly' approach is more effective, for example, when some contact is occurring or there is a positive response to indirect contact. It bears noting that in Re S (Transfer of Residence), the child did say that he would consider seeing the father after he completed his GCSEs. To force the issue any further might have eliminated this possibility. In order to become alienated, it follows that a non-parent will have once enjoyed a positive relationship with their child. Unfortunately, happy memories can fade. Delay, then, is even more inimical to the welfare of the child in cases with the hallmarks of alienation. An applicant needs to build a case for a contact order, but there is a risk that delays occur which are not all purposeful. Plainly, a child and adolescent psychiatrist should normally be instructed in these cases, but practitioners should ask themselves whether any further delays are justifiable. "it is extremely important, both for courts and advisers, to spot at an early stage those cases which have the hallmarks of difficulty, let alone intractability, about them ... it is extremely important that the parties at a relatively early stage have an opportunity to give evidence not against each other, as happens in fact-finding hearings, but in respect of the interests of the child which are all too easily lost in the maelstrom of allegations"
A further point was made about transfer to the High Court. It is well known that judicial continuity is of particular importance in intractable cases. It is impossible for the High Court to deliver the required continuity. His Lordship suggested a compromise where a case is to be transferred (at ): the matter should be transferred not absolutely but for directions in the first instance so that the High Court Judge can (a) consider whether the case should remain or be transferred back down and (b) if the latter, at least a new mind can be applied to the issues.